The first project uses some GORGEOUS new patterned paper called Birthday Bouquet. It is sooo pretty. 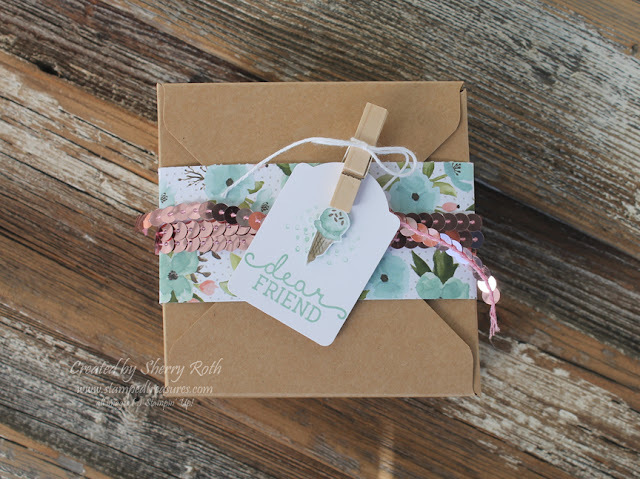 The colors are lovely and I think it's going to be incredibly versatile. It looks very floraly but there are some very generic patterns in it as well. That little ice cream cone was cut from one of the papers - how cute is that! 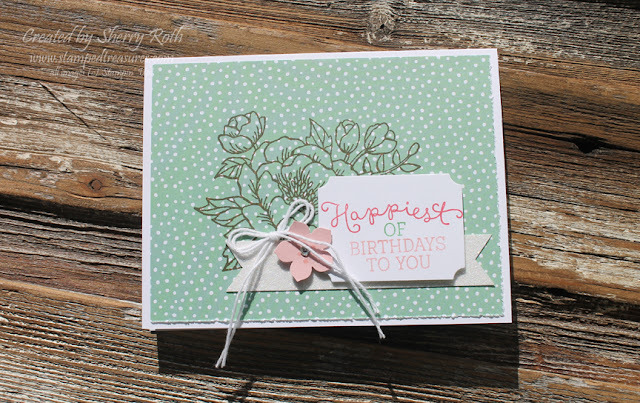 This card was created using the coordinating stamp set - Birthday Blooms. I did change up my card a little to make it my own. Isn't it cute?! Love that big floral image in the background.